American Airlines will be changing the award chart for its AAdvantage frequent flyer program on March 22. Many award levels will be going up — some by over 60% — and this could make it more difficult to book your dream vacation. If you’ve been stockpiling miles in your account, consider redeeming them for an award now before those miles lose value next month. AAdvantage members can book travel up to 331 days in advance, meaning that you can book a trip as late as February 15, 2017, and still pay today’s lower prices. All of the award levels mentioned in this article are for one-way travel. Most awards within the lower 48 states won’t be affected, but travel to Alaska and Canada will be going up by 20% or more in all cabins. Economy class awards will increase from 12,500 miles to 15,000 miles, and business class will increase from 25,000 miles to 30,000 miles. If you’re planning an Alaskan cruise, remember that the majority of itineraries are one-way, so you’ll need to book a flight to return home. Other vacation ideas include excellent ski resorts like Whistler and Banff, while Toronto and Montreal are more appealing in the warmer months. You can use your miles to travel on American Airlines, Alaska Airlines and WestJet. Etihad Airways is one of American’s non-alliance partners, and you can earn and redeem miles on Etihad even though they aren’t part of the oneworld Alliance, which most of American’s other partners belong to. This is key because it means that American Airlines is one of the few good ways to book award travel on Etihad; other oneworld Alliance members don’t collaborate with them. Last year Etihad unveiled the First Class Apartments on its Airbus A380 flights, which operate on select routes from Abu Dhabi, including to New York and London. These fully enclosed first class cabins include space to dine with a companion, a separate bed, and the opportunity to shower at 35,000 feet if you feel the need to freshen up before landing. Etihad’s hub in Abu Dhabi is a great gateway to other destinations in Africa, India and Southeast Asia. They may also have more availability and lower fees than if you tried to book a similar award connecting in Europe. Act fast, as first class awards to India and the Middle East will soon increase from 90,000 miles to 115,000 miles. Many people dream of visiting the sunny beaches of Hawaii in the dark winter months. If you’re coming from the East Coast, those long flights are much more bearable in first class. However, American is raising the cost from 47,500 miles to 65,000 miles (a difference of 36.8%) each way. Book next year’s trip now and lock in these lower prices. It could make the difference between flying coach vs. enjoying Mai Tais in upper class. If you’re willing to connect, American’s partner, Alaska Airlines, actually has more flights to Hawaii than any other carrier. Hawaiian Airlines is also a partner, but you can’t redeem miles for travel to and from the mainland because of its rules. Instead, consider using American miles to book inter-island awards or international awards to other destinations in Asia and the South Pacific. 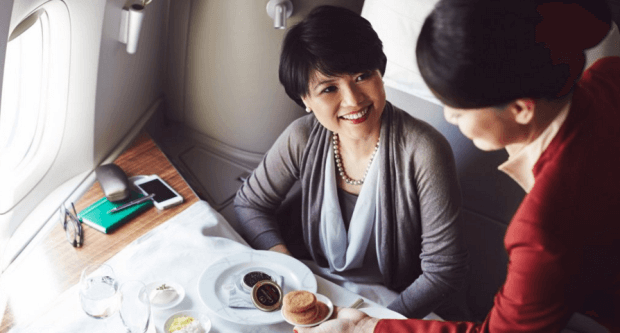 Cathay Pacific offers one of the best first class products in the sky. Each semi-enclosed suite folds out into a soft, comfortable bed, and there’s a generous ottoman so another traveler can join you for meals. 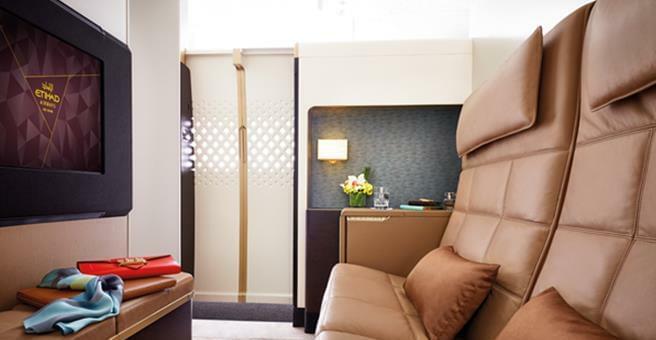 Although larger first class cabins do exist on some carriers, like Etihad, Cathay Pacific has consistently provided one of the best all-around experiences. They are also known for providing access to several excellent first and business class lounges at their hub in Hong Kong. The greatest impact of American’s devaluation will be on first class travel to Southeast Asia, a huge market for partner Cathay Pacific. These awards will increase 63%, from 67,500 miles to 110,000 miles for one-way travel. Alaska Airlines Mileage Plan is another popular option for booking travel on Cathay Pacific, so you might think there’s no rush to redeem your American Airlines miles for this award. However, Alaska is not a partner with Cathay’s regional subsidiary, Dragonair, which serves many smaller airports in Asia. If you plan to connect onward to one of these cities you may find that the American AAdvantage program is a better choice when booking a ticket. Business class awards to all destinations in Asia are increasing 20% to 28%, depending on the specific country. American Airlines is adding new routes, and service on its partners JAL and Cathay Pacific is among the best in the oneworld Alliance. Malaysia Airlines provides another option, though they are cutting back on long-haul service. Not everyone needs to fly in first class, but business class is certainly more comfortable than coach on flights over 12 hours. The reverse herringbone business class product on Cathay Pacific sets a gold standard in the industry and is usually in good supply, especially closer to departure. This will make it easier to book an award now to lock in a low price and then change the dates later. Besides the big impact on travel to Southeast Asia, the other region most affected will be travel to the South Pacific. First class awards will increase from 72,500 miles to 110,000 miles, and business class will go up from 62,500 miles to 80,000 miles. 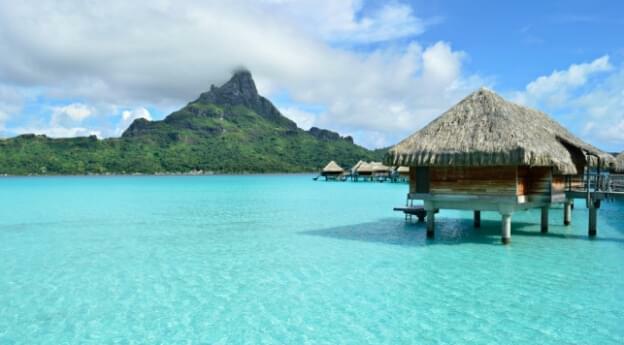 In addition to flying Cathay Pacific (which will require connecting in Hong Kong), you can also choose more direct itineraries on Air Tahiti Nui, Fiji Airways, and Hawaiian Airlines. Air Tahiti Nui offers non-stop service between Los Angeles and Papeete, Tahiti. Fiji Airways provides service to Los Angeles as well as Honolulu, which will make it easier to find award space. Hawaiian Airlines offers several flights to various destinations in the South Pacific. Remember that you can’t redeem American Airlines miles from the mainland U.S. on Hawaiian Airlines. Fortunately, you can still ask American to book you on Alaska Airlines and connect in Honolulu before continuing onward. In addition to all the other changes highlighted above, American Airlines is significantly curtailing the discounted off-peak awards it used to provide to several destinations. These allow members to save roughly a third when they book economy class awards on flights operated by American Airlines during the low season. Off-peak travel isn’t such a bad idea. Hawaii is a great place to visit any time of year. Europe has its special charms when the Christmas markets line city streets. South America and Asia see lower prices for hotels, and crowds are fewer. Current off peak travel dates for several regions are listed below. Beginning March 22, most of these will be eliminated, and Europe will see the eligible period shrink dramatically. In effect, prices will increase 50% overnight. One final thought before you rush to drain your AAdvantage account: frequent flyer miles can put expensive or impossible vacations within reach. However, don’t travel somewhere just because it’s on someone else’s list. Be sure to find a place you want to visit, whether it’s on the other side of the world or just one state over. Have we piqued your interest?